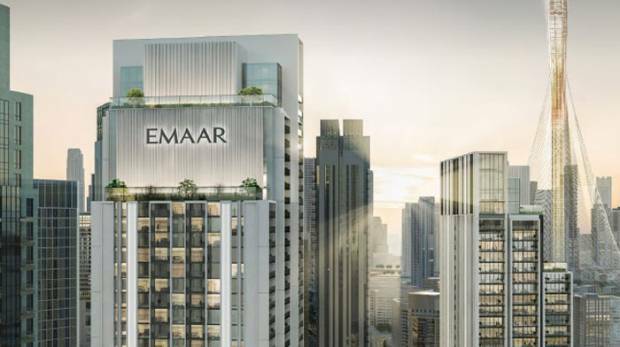 Emaar Development PJSC has announced an offer price of AED6.03 per ordinary share for its initial public offering, the company announced on Thursday. Based on the offer price, Emaar’s market capitalisation at listing will be approximately AED24.1 billion ($6.56 billion), with 800 million shares included in the offering, representing 20 percent of share capital. The value of ordinary shares sold by Emaar Properties totals AED4.82 billion ($1.31 billion), with 93.8 percent allocated for qualified investors and 6.2 percent allocated for individual and other investors. “Today marks an important milestone for Emaar Development, as the strong retail and institutional investor interest in our IPO places us closer to achieving our vision for the future,” said Emaar Properties Chairman Mohamed Alabbar. Listing and trading on the Dubai Financial Market will begin at 10am on November 22, under the symbol “EMAARDEV”. Dubai’s main stock benchmark lost 4.8 percent in the five days through Nov. 9. The subscription for the offering started only days before the geopolitical tensions escalated, Bloomberg reported. While Emaar Properties shares have declined about 5 percent in the past two weeks, they are still up 13 percent since it initially announced the intention to sell shares of Emaar Development in June. The company expects to pay at least $1.7 billion in dividend over the next three years. Emaar Development shares are expected to be listed on the Dubai Financial Market on Nov. 22. The sale is the largest since Emaar Mall’s $1.6 billion offer in 2014, according to data compiled by Bloomberg. Emaar Properties, which has the government of Dubai as its main shareholder, spearheaded a building boom in the emirate after foreigners were allowed to own properties in parts of the emirate in 2002. Apart from Emaar Malls, some of its subsidiaries in Saudi Arabia and Egypt are already listed locally, as part of a strategy to bolster the value of the parent company. Emaar Properties said third-quarter net income increased 32 percent to 1.51 billion dirhams. The company said it has more than 24,000 developments under construction, and that it’s in a position to create strong cash flows in coming years.